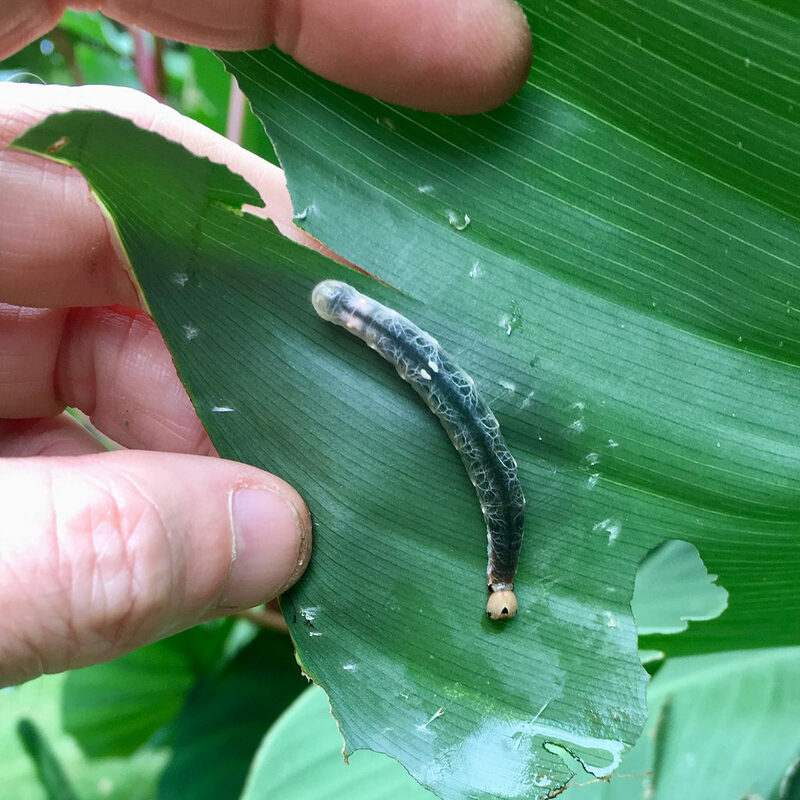 Observation notes: Several large caterpillars on cultivated Canna compacta in Rehoboth Beach, DE but no adults observed. 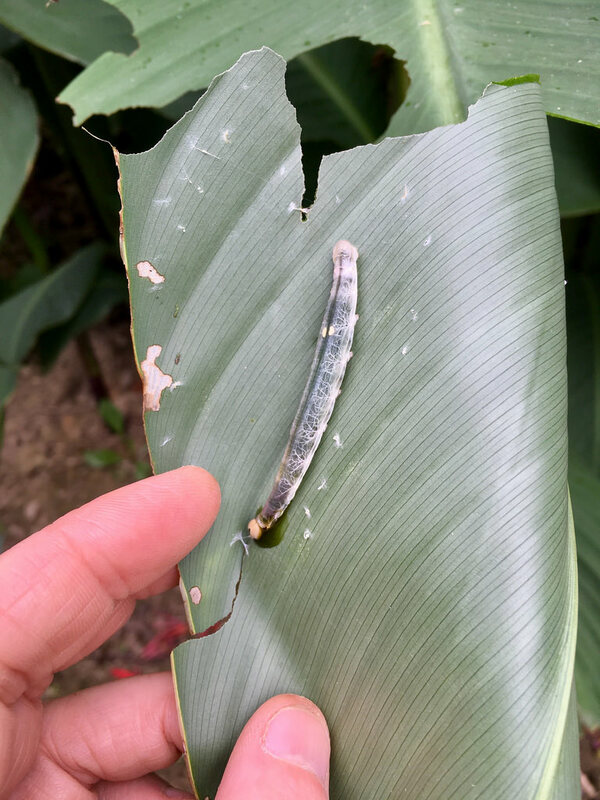 Caterpillars were hidden in sections of leaf folded over and fastened with silk. New record for Sussex County, DE?